I’ve never been very good at sewing. I’m the type of person who sews a button on a shirt and then watches as it falls off a week later. A needle and thread are not my friends. 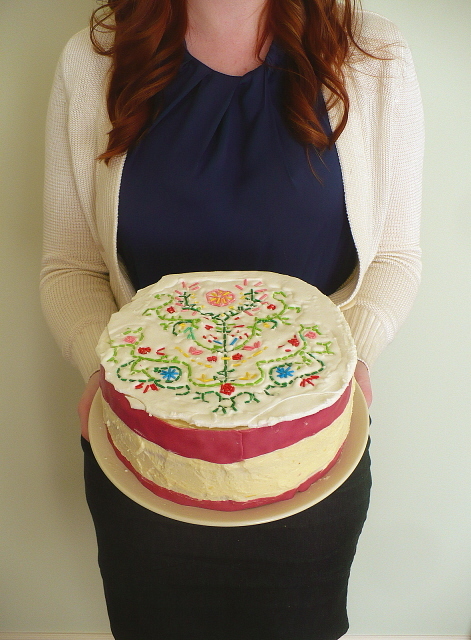 An embroidery cake, on the other hand, now that’s something I can get behind! You get all the fun of creating an embroidery pattern without having to do any of the actual sewing! 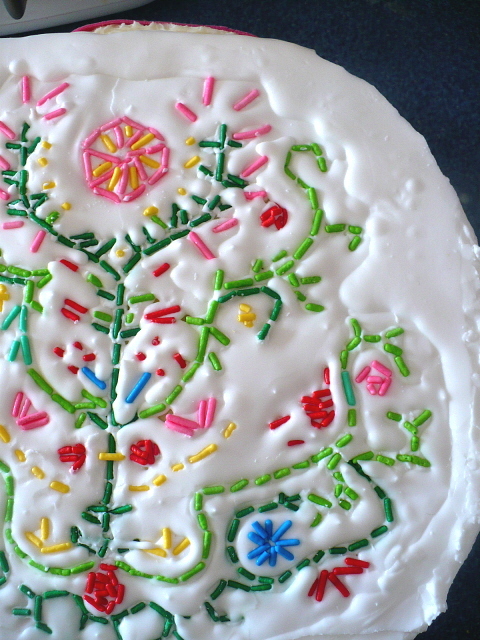 The floral design, which was created by Stephanie for her blog A Clockwork Lemon, is based on an actual embroidery pattern and uses jimmy sprinkles instead of thread! So lovely and creative! Normally, I wouldn’t just repost another person’s blog post, but this one was too special to pass up! To learn more, check out Stephanie’s post, right here. Very cool idea. Love it! Oh, I love the decorations! A lovely idea. Very different. I am seriously smitten by your gorgeous cake!